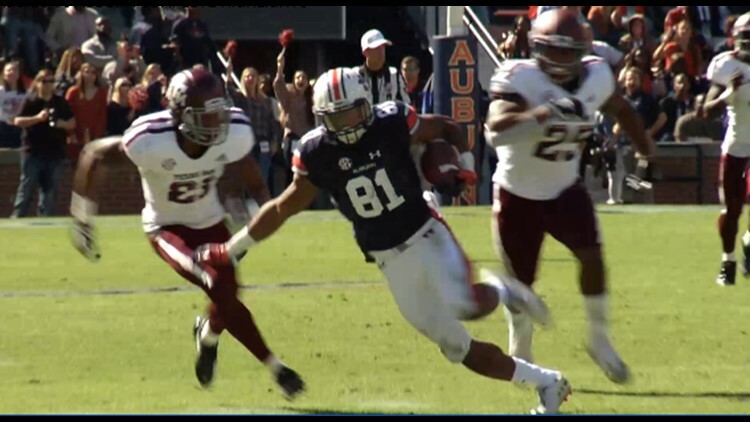 Seth Williams caught an 11-yard touchdown pass from Jarrett Stidham with 1:41 left and Auburn rallied to beat No. 25 Texas A&M 28-24 on Saturday. AUBURN, Ala. -- Seth Williams caught an 11-yard touchdown pass from Jarrett Stidham with 1:41 left and Auburn rallied to beat No. 25 Texas A&M 28-24 on Saturday.